Beautiful stylish dress for all occasions. 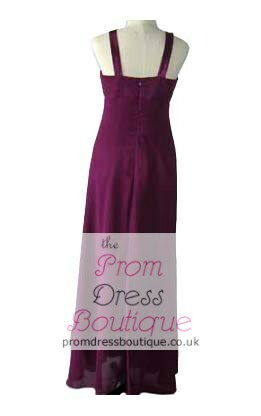 This stunning dress is perfect for proms, bridesmaids or any formal occasion. Details: Chiffon pleated top, satin dress with chiffon overlay. V neck , satin strap and zip up back finished to a high quality with full lining and additional bust support for your comfort. Colours: Available in 52 different colours, based on the chiffon colour chart. Colour in the picture is number 33, plum.